LJM Architects, Inc. is a firm formed in 1986, offering architectural and consulting services for a variety of project types. Our mission is to provide high quality designs and service to achieve complete and effective projects for our clients. At LJM, the principles of style and function, sustainability and practicality guide us as we explore, design, and create the projects which will become elements of the environment for now and for the next generations. 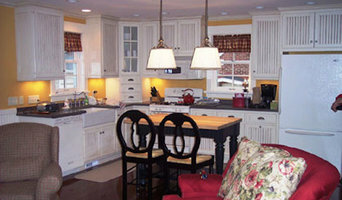 20 plus years of Design/Build Industry expertise in Residential Renovations, Kitchens/Baths, New Homes, Lt Commercial interiors, Restaurant, and Equine/Farm. Serving Home Owners, Business Owners, Building Contractors. My niche has been projects that involve aspects of structure, interiors, considering site/landscape, budget and business. Styles range from: Historic Preservation -to- Warmly Modern -to- Courageously Creative. I have also enjoyed working on several smaller jewel-like hands on projects. All projects that have resulted from: problem solving, expressing creativity, meeting client needs/budget, and have smart use of space. Design and Working Drawings can including: 3-D Renderings l Floor Plans l Foundation Plans l Roof Plan l Elevations l Sections l Details l Plot Plans l Portal Design l Tall Walls l Bracing Plans l and more. George Robak's clients get more than a unique living environment. They get years of satisfaction knowing their new home is structurally superior and will be free of many costly problems that plague homeowners years down the road. 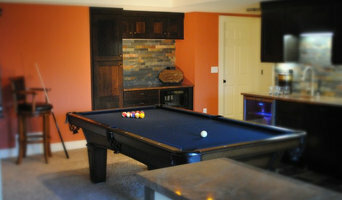 They have a home that was designed and built with their specific needs in mind. And, as an added bonus, Robak homeowners come away with something few others do: a valuable education in the materials and methods of construction. Robak is able to provide personal and professional home design and construction service by tapping his comprehensive experience. 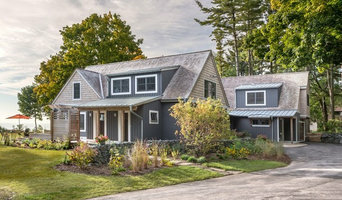 A licensed architect, engineer, builder, developer and licensed broker, Robak is uniquely suited to take clients the entire route from selection of a lot to a finished, custom home. As a former educator and self-described lifelong learner, he is also suited to impart a great deal of information to his customers. "I enjoy sharing information," he said. "I guess after teaching for 18 years, it just comes naturally." Ramsey Jones Architects was established in 2010 based upon the premise that high quality design should be both affordable and accessible. The constructed results of our process need also exhibit specific qualities of beautiful, well proportioned and livable space. Regardless of project scale, budget or function, these goals drive the design. Purpose built and high performance buildings result from our design process. By this I mean thoughtful and creative design specific to the client’s needs, site, budget and community today, while providing the ongoing and long-term benefits of reduced operating costs and low maintenance, all configured as beautiful and high functioning space. Implicit within the goal of creating memorable space is the seamless integration of sustainable design. While sustainable design can entail high tech solutions such as solar panels and geo-thermal heating/cooling, more often it takes the shape of simple decisions made at the start of a project. Site design and solar orientation are two of the simplest methods yielding the greatest economic benefits over the life of a building. Durable, low maintenance, reclaimed and local materials represent yet another tier of decisions that can have a lasting effect on the success of a project. When viewed holistically, this vast array of decisions made at the front end of a project will dictate the long-term success more than any other aspect. As an architect who has practiced for nearly two decades spent predominantly at mid-sized firms, my range of project experience runs from small summer cottages to State University museums. It is this broad range of experience that best qualifies me to work with a client to find solutions unique to their project, their community, their needs and their budget. I come in with no pre-conceived notions about a building design, but with high-level technical, design and communication skills. Due to this broad range of project experience, I often refer to the firm as being Expert in the One Off. Dominion Properties has a number of residential apartments on the East Side of Milwaukee. We are currently starting a brand of green apartment buildings that promote sustainable living. "Sage On Jackson" is our first building and it is pending LEED platinum, the first in WI for a market rate multifamily! This brand is called "Sage". Sage is a green color, A Sage is a wise person; Smart, green living! We are looking for investors interested in spreading the green living lifestyle. Please contact us if you are interested in investing with us, or if you know of anyone looking for a green lifestyle in Milwaukee. RMA Construction, Design & Land Development Inc.
Full service architectural office operating mainly in Illinois & Wisconsin. 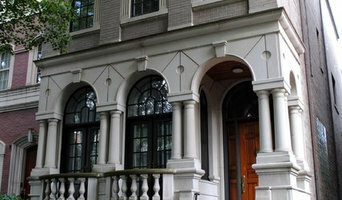 A love of classic homes is a passion with emphasis on energy efficient design. Balancing "Wants vs. 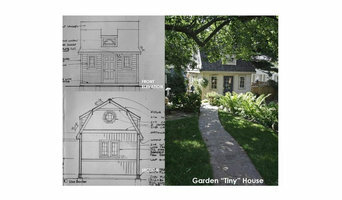 Needs vs. Budget" are the first steps to all architectural work. I ask all my clients to watch "Mr. Blandings Builds His Dream Home," with Carry Grant, when hiring me. A comedy that demonstrates how proper planning which is paramount (& too many unassisted decisions) all effect a projects success. A custom home, addition or remodel still has all the elements of an architect's service. And above all, ensuring the customers desires are met. To The Do It Yourselfers out there: Do you want to build your own deck, but you don't know where to start? Ask yourself these questions: How do I get a print for permits? What kind of materials should I use? How much of the materials do I need? What will my new deck look like when it is finished? Amy at BCDD can help with all of these questions. With Brew City Deck Designs, LLC you will receive a one on one consultation, a structural print (used to pull permits), a material list (used to purchase materials) and a 3-D rendition of the finished project! William Feldman Studio is a multi-disciplinary design office specializing in three-dimensional design for a variety of project types. We produce ideas and solutions … from site planning to commercial and residential building and remodeling … to the design of the details and products within, we approach each project as a problem solving endeavor. For real estate developers: We create multiple ways to visualize a project … from conceptual site plans and building design … to architectural renderings and marketing graphics. For businesses and building owners, to home owners: We provide architectural services for additions, remodeling and new construction. For manufacturers, to people with product ideas and potential inventions: We help develop and refine your concept, as well as redesign an existing product. We also provide renderings and prototype models, plus patent drawings. Our fee structure reflects our philosophy: Good design should be accessible to everyone. Struc Rite Design, Inc. is an Architectural and Engineering Firm based in Downtown Waukesha, WI and have experience in various commercial, industrial, multi-family & single family residences as well as research and development work on new building technologies. Please browse through our website at www.srdinc.biz and contact us with any questions on how we can help you with your project.